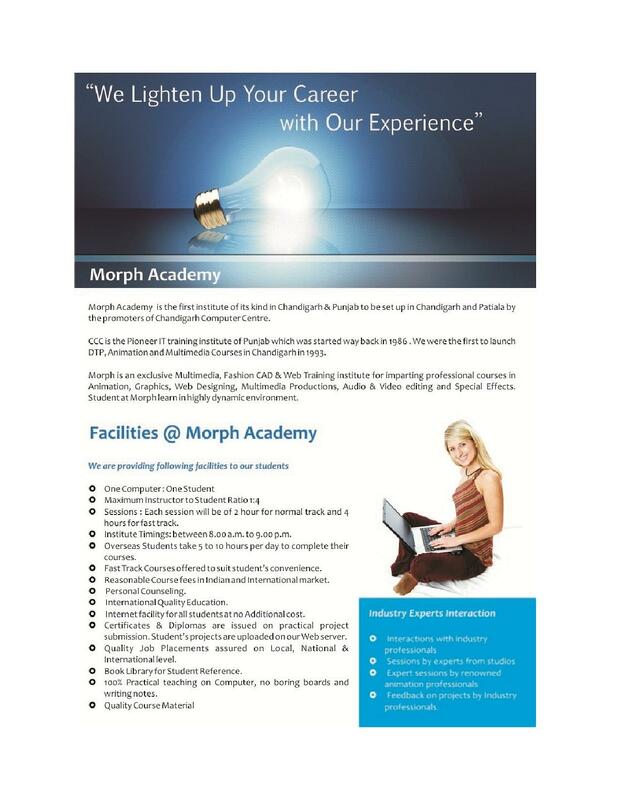 Morph Academy, Chandigarh is an IT training institute. It works with a mission to provide the best learning programmes through digital techniques. 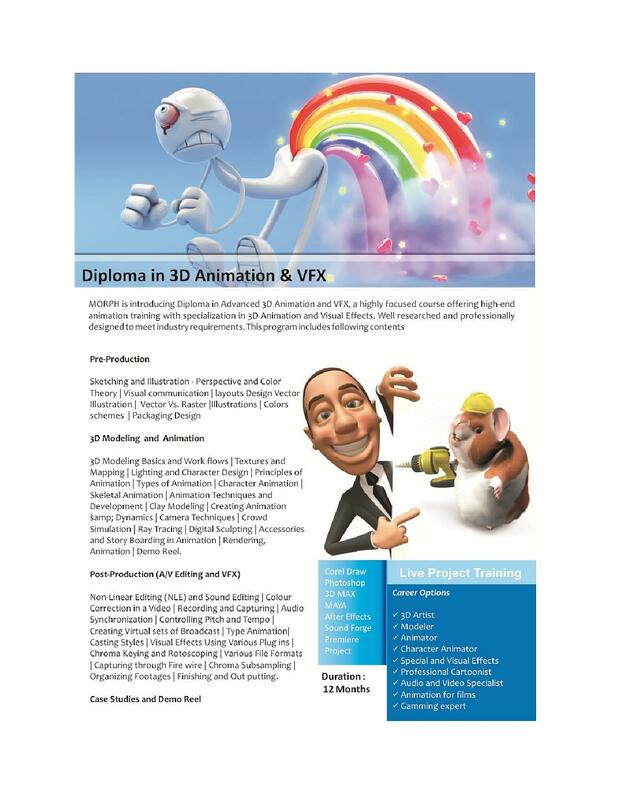 Such techniques used by the academy help to develop industry links and provide more career opportunities to the students. 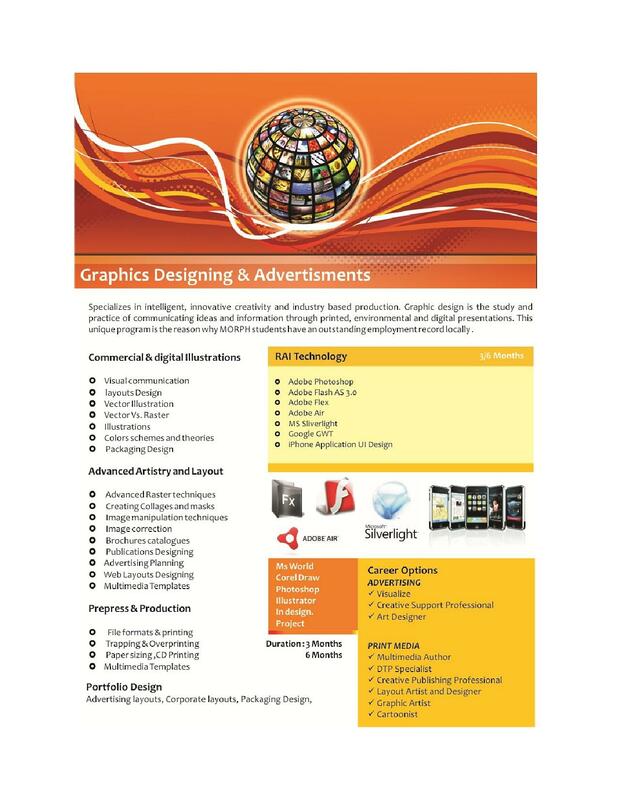 The Academy offers the courses like Graphic Designing, Fashion Designing, Interior Architecture, Game Designing, Jewellery Designing, Web Designing, Film Making and many more. The Academy acts as a bridge between the dream career of the students and their strengths. 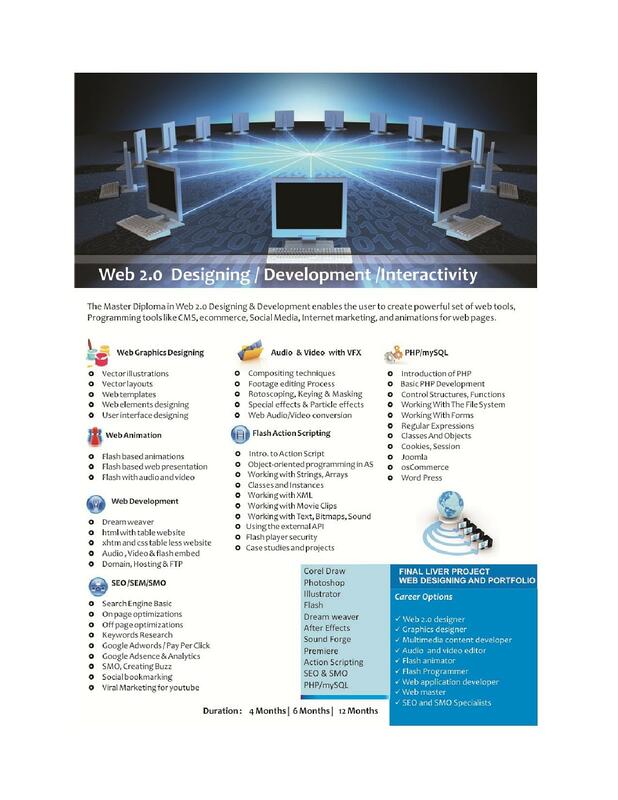 The skills of the students are evaluated, and the best training is provided to them accordingly. It organizes a number of workshops and seminars for the students to provide them with the practical skills of the subject along with the theoretical knowledge. 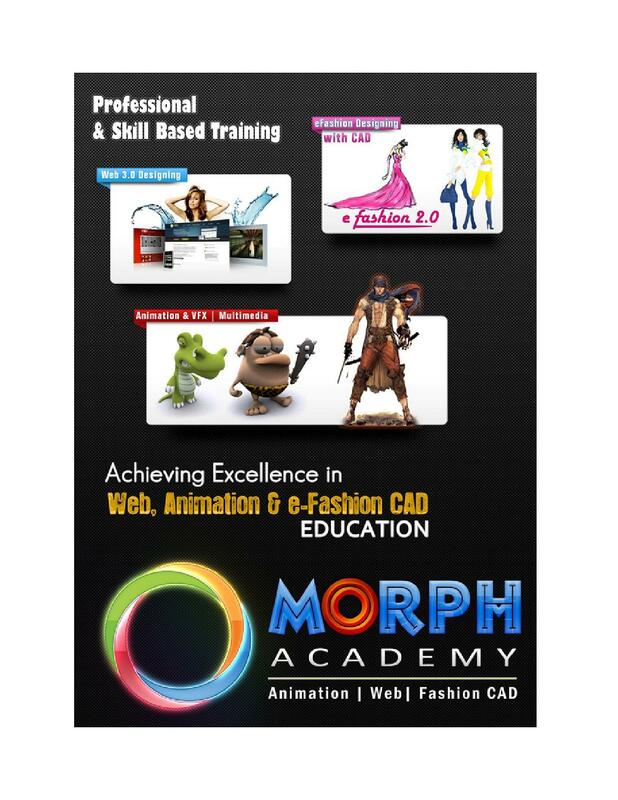 It is the Top Animation Academy in Chandigarh- Morph Academy is the top Multimedia & Animation Academy of Chandigarh, Punjab and Haryana. The training institute provides the best quality education and placement services to the students. Excellent Placement service- The Academy provides 100% placement assistance to its students. The students are places with the top companies like Colors, HCL, Net Solutions, Pixion, Seasia Consulting, Smoke Colors, Tata Consultancy Services (TCS), The Times of India, Vyga, etc. It has won a number of Awards- It has won the Best ICT the Enabled University of the Year 2010, the Best Open and Distance Learning Initiative of the Year 2010 and many more.